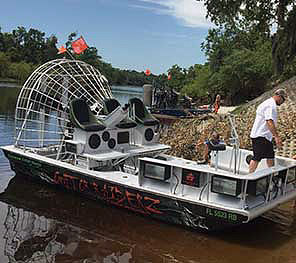 Grab some friends and come take a ride on the airboat! We’ll cruise down Peace River or run the gorgeous flats of southwest Florida. This state is famous for the outdoors, and it should be experienced on an airboat. You’ll get to see everything from alligators and manatees to all beautiful fish of Florida like sheepshead, redfish and snook! Feel free to bring the kids, we’ll provide all of the bells and whistles. Give us a call today to book the best Florida vacation you’ll ever have.